Magnetic nanoparticles, especially with a functional coating, are used now for more than 10 years for bioanalytical methods or as a contrast medium for magnetic resonance imaging in clinical and pre-clinical trials. In this respect a possible application scenario is the labelling of stem cells with magnetic nanoparticles to target and image them. The commercial availability and the particular characteristics of these particles open up new possibilities for bioanalytical and diagnostic methods. The proposed invention allows the specific detection and quantification of magnetic nanoparticles, especially dispersed in liquid media. The particle surface can be modified with certain linker molecules and binding sites, the so called functionalization layer. Thereby different analytes, for example antigens, viruses or certain molecules, can bind on the surface. With the proposed technology the respective analytes can be detected by measuring changes in the physical characteristics of the nanoparticles. The technology allows the construction of bio-analytical sensors which have a comparable sensitivity to conventional optical read-out techniques, however combined with a high level of robustness and low material consumption. Moreover also optically not accessible samples can be characterized, which is of particular importance for in-vivo diagnostics. 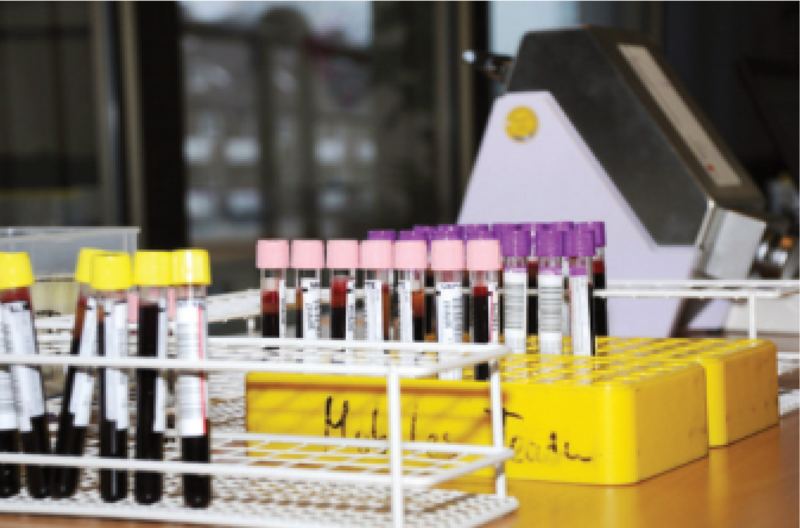 Additionally a parallel detection of several different analytes in the same test sample can be conducted, which reduces the costs in comparison to conventional technologies dramatically. Different analytes can be detected with the help of functionalized magnetic nanoparticles in liquid and tissue test samples (© littlebell). „Low Cost Equipment“ for point-of-care diagnostics can be realized, for example for the tuberculosis detection in developing countries. First measurement results were obtained. A prototype is completed.